Signup for a 2019 Nike Soccer Camp through US Sports Camps! Since soccer camps are often the first introduction to soccer for many youngsters, it’s important to choose a soccer camp that does more than just baby-sit. For children starting to play soccer at ages anywhere from four to six years old, soccer can become passion rarely quickly —one that takes up their time in a constructive, positive and healthy way. Making soccer something they love and want to master, whether it's juggling, dribbling or bending the ball around a wall, a soccer camp is great investment into not just your child’s soccer future, but their well-being. See our State by State Camp List. Girls at the Academy receive elite training at top-quality facilities from our qualified and experienced coaching staff. One of the few specialty soccer camps set in a traditional camp environment, we focus on player improvement while deliberately infusing fun and friendship into the learning process. At the Academy, girls discover their greatness both on and off the field. The Academy is located in East Otis, Massachusetts, 10 miles north of the Connecticut border, and about 2 hours by car from Boston, and 2.5 hours from New York City. All sessions run Sunday morning through Thursday afternoon. Those wishing to attend multiple sessions can attend a Bridge session from Thursday – Sunday (cost $525). New York Red Bulls soccer camps are offered with Half Day, Full Day, Extended Day, Evening, and Overnight options at various locations throughout New York, New Jersey, and select towns within Connecticut and Pennsylvania. • Introduction and mastery of skill in a fun learning environment. This is achieved through maximum ball contacts, expert coaching, and daily homework assignments. • Through our camp structure and connection to the professional game, an environment is created that keeps players invested in their own development long after the camp concludes. • Each day focuses on a different topic, players are assigned to a group based on age and ability levels. 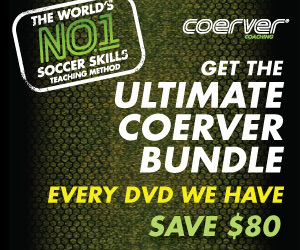 Coerver Coaching's mission is to provide the world's best youth soccer educational services and products at its Player Camps, Schools and Coaches' Clinics. Our aim is to make the benefits of Coerver® Coaching available as widely as possible through our network of Coerver Coaching licensees. FREE Soccer Training Tips from Coerver Coaching: Enter your email address at this link to start your free soccer training tips: Six Steps to Soccer Success. 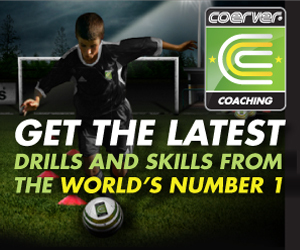 Find Out Why Over 70,158 Coaches Love Coerver Coaching. If you’re looking for a soccer camp for yourself, select one that fits your ability level but also challenges you to improve your game. Think ahead, and if you’re in high school, choose a camp at a college you might be interested in attending. It’s a great way to get an early look from a college soccer coach. Above all, find a camp that works for you. Is it an all day soccer camp, an overnight camp or is it a half day camp near where you live? Take all these factors into consideration before deciding on what soccer camp you want to attend. How competitive is the camp? Do they seem to focus more on winning camps or the joy of the game? Which one you prefer will depend on your situation. Are you (or the child) new to soccer? A non-competitive and relaxed atmosphere could provide a better introduction to the game, and show how fun it can be. But if the motivation to play soccer is already there, and the focus is on skill and strategy, then a competitive camp will cater more appropriately to that. Who will be teaching and coaching? What is their background in soccer? How old are they, and how long have they been with the camp? How many are there, and how often will they be interacting with you or the child? What is the ratio of counselor to camper? Look for credentials, but dig deeper, too. If you get the chance, watch them play or coach or train others. Not only look at their teaching style, but also their own skill. Inquire about their daily activities. Do they have a schedule? And do they stick to it? What is the curriculum? Do the drills and exercises progress as time goes on? Is there a routine, where the same things are done every day, or is each day different? Are the activities going to be challenging enough? Are physical activities supplemented with education about strategy? Are strength and flexibility building a priority? Is safety a major concern? Do the coaches and counselors watch out for their players, teaching them proper form, making sure they don’t over-extend themselves to the point of injury, and requiring them to use the appropriate safety gear? If you or a child becomes injured, what is their protocol? Do they have someone who is familiar with emergency care on staff? Day camps. Usually operate on a week-by-week basis. Residential camps. Attendees stay overnight. Often at colleges or universities. Meals are typically included. Community camps. Sponsored by a local organization for a short period of time. Usually less expensive than the above. Position-specific camps. Focus on training attendees in a certain position (e.g. goalkeeper, forward, etc.). Advanced camps. More intense, thorough and competitive than most. Usually residential. International camps. Would you like to become a better soccer player and also visit a new country? Take a look at camps abroad that offer quality coaching and let you explore a new culture.